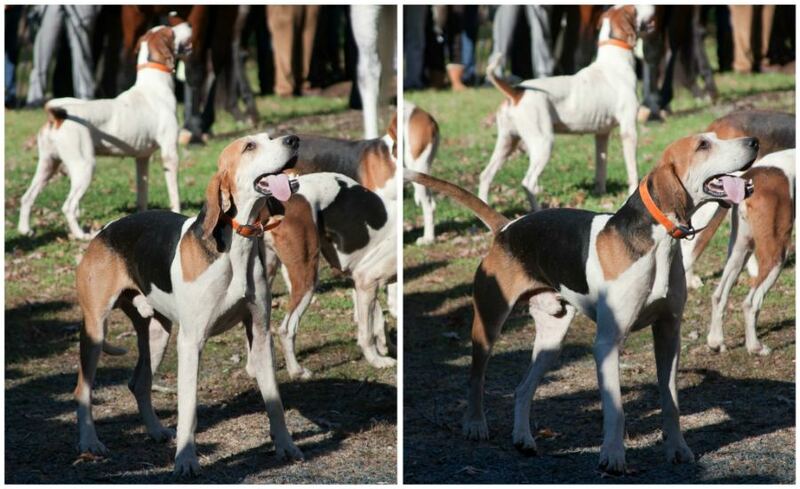 Grace Episcopal Church in Charlottesville, Virginia has been Blessing the Hounds for the annual Hunt every Thanksgiving for the last 82 years. When we made our plans to travel there for the holiday and Seamane mentioned that she'd always wanted to attend the Blessing, we jumped at the chance. How could we not? The day was perfect. 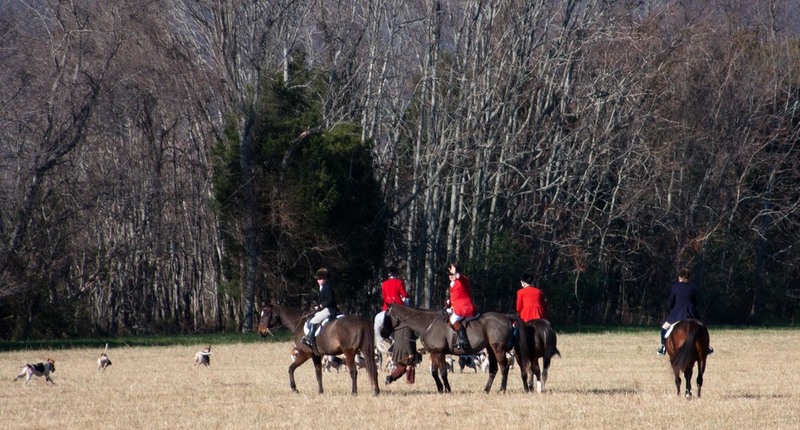 Quintessential Virginia Thanksgiving. November in Virginia can be capricious, but generally she'll treat you kindly. Today she smiled upon us. Crisp air and skies of brilliant blue. 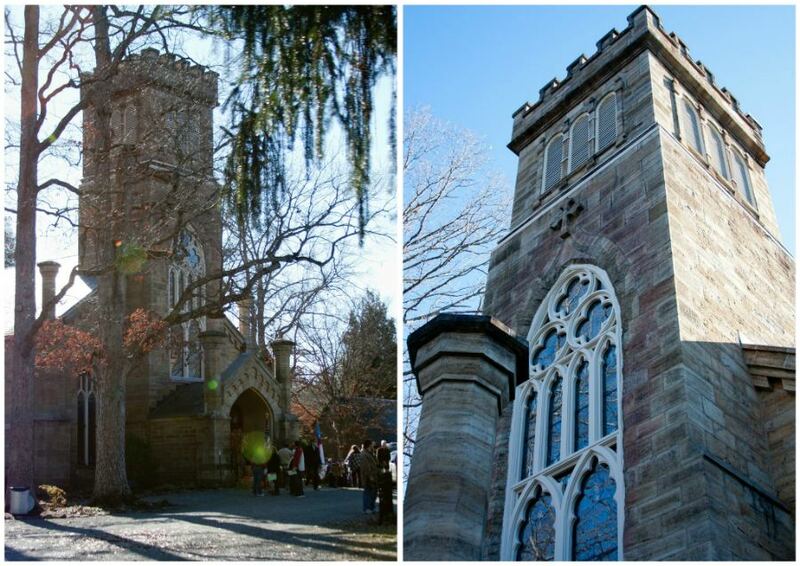 Among those rolling hills and next to those hallowed halls, it wasn't hard to feel transported back in time. As we gathered, the rector walked among the guests, sharing a photo of a past Blessing. At the beginning of the ceremony it was given to the person who'd traveled the furthest. I had a whisper of a hope that it might be Norfolk, but even we couldn't beat Shanghai! 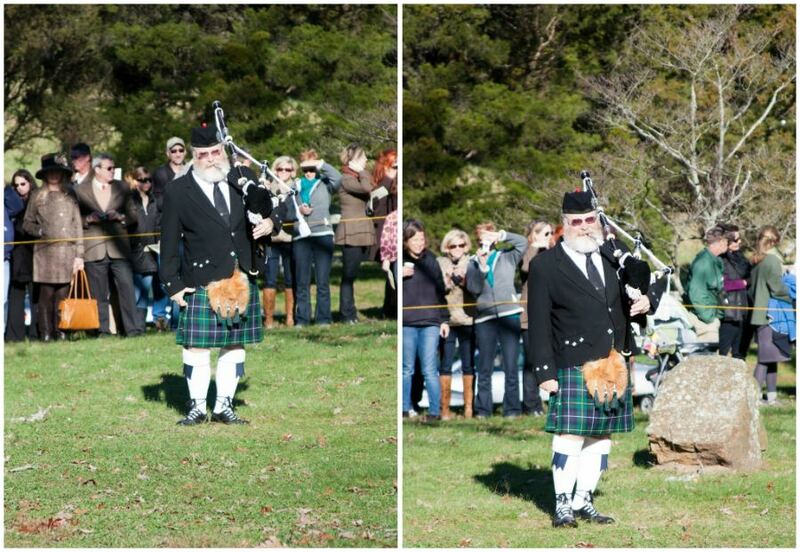 And then the bagpiper began! What a brilliant perfect touch! He finished with Amazing Grace, which never fails to move me to tears. Especially with the haunting tones of the pipes. And then the horses and the hounds came in! We were handed brochures when we arrived (and offered cider and hot cocoa! 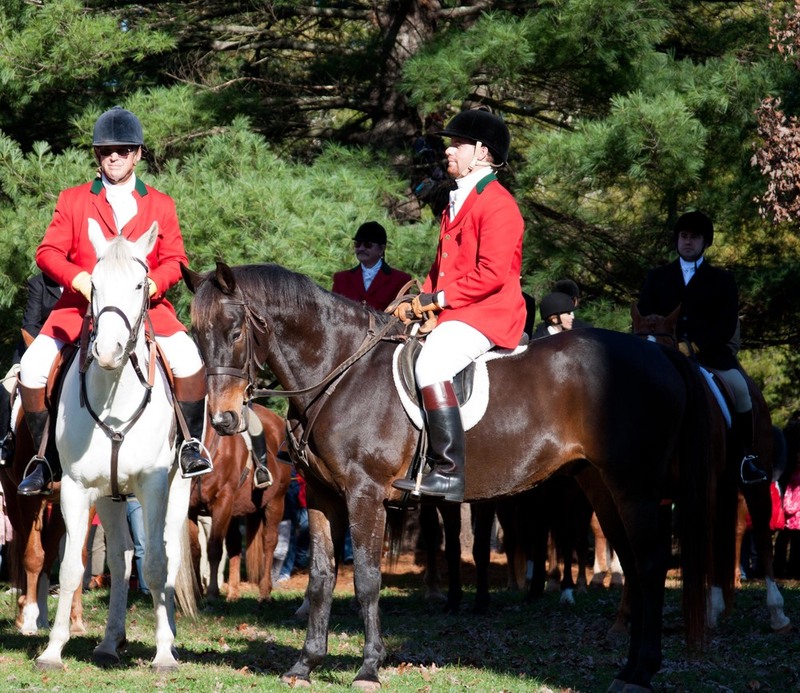 ), and from it we learned that the Keswick Hunt Club was founded in 1896. Most of their customs are English in origin, with formal attire like the the scarlet coats you see pictured. 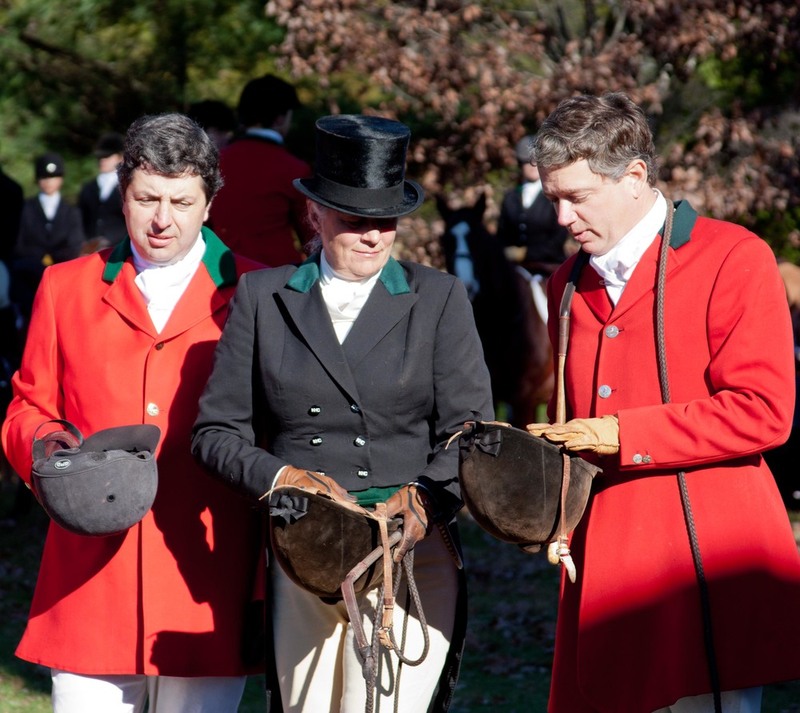 The coats are earned by demonstrating abilities as fox hunters such as knowledge of the countryside, horsemanship, and of course, familiarity with the hounds. 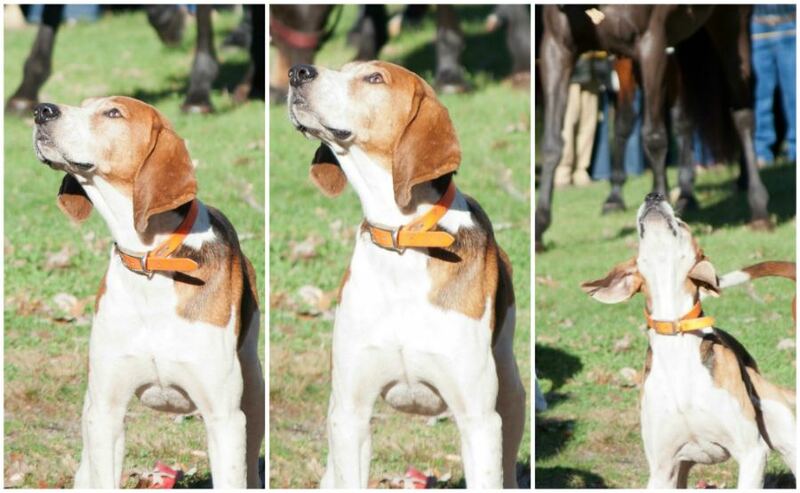 We love us some hounds around here. These were all foxhounds, sadly no beagles, and they were the most well-behaved hounds we'd ever seen. The brochure on the blessing notes that hounds require hours of patient training, so perhaps that's where we fall down. And they were quiet! Neel and I both marveled at it unil we walked across the street after the blessing to find that the number of dogs waiting in the nearby field had tripled. "Only the good ones were allowed to come to the church," Neel commented wryly. We sang We Gather Together, which was so lovely and perfect for Thanksgiving, as well as My Country Tis of Thee, and John Lennon's Imagine was performed as a beautiful solo. Several riders then wandered among the crowd accepting donations for three local animal rescue organizations: Eagle Hill Equine Rescue, Houses of Wood and Straw, and Rikki's Refuge. I wish I could remember the whole of the blessing that the Rector gave. I only remember snippets. May the horses be sure footed...may the hounds be disciplined (! )...may the fox be elusive. After the blessing, once the horses and the hounds departed, Neel suggested we walk across the street to the neighboring field. It was Callum's idea. I'm so glad we did. We got there just in time to hear the horn blow and see the hounds and horses take off. Maybe each year is different. Maybe it's less moving, not to mention comfortable, when there's a chilly rain. But there on that day, with the crunch of overlong and dying grass underfoot and the vast, vast unspeakably blue sky above; well, that was something special. To be part of all that teaming life of beast and fellow human; there was such joy there. Such bright spirit. I would go back every year.